The last time I enjoyed a movie with Brad Pitt was when I empathized with his voracious appetite in 2001’s Ocean’s Eleven. Watching him eat in just about every scene was one of the many highlights of that movie for my viewing bliss. Since then, I haven't paid much attention to Mr. Pitt’s acting or believe it or not, personal relationships disseminated throughout the daily circus of celebrity blogs and TV infotainment programs. With his latest movie, World War Z, I have finally, once again taken notice of not only his acting ability, but his physical dexterity. In both American and British terms, the man is fit. 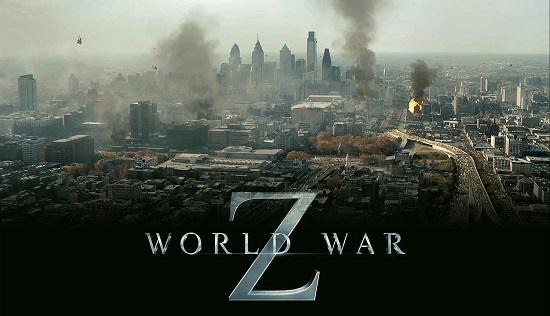 But World War Z is more than Brad Pitt and the relentless media blitz surrounding said movie. This Blockbuster is on a mission to provide pure entertainment for your eyes, especially if you end up seeing the 3D version, while providing some hard lessons of survival. With no fillers or unnecessary plot lines, the mayhem starts before the ten minute mark. There is no overwrought lead in where we are led to a close-up of the main character’s face and then led to figuring out what the main character’s needs are through a tense exchange of words with their mother, father, girlfriend, boyfriend, ex-lover, or stranger. 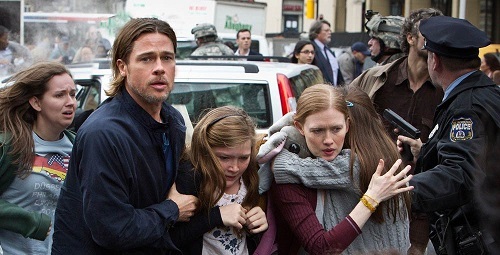 Rather we jump right to a morning in the life of Gerry (Pitt) and Karin Lane (Mireille Enos) and their two children, who wake up, eat breakfast, and pack into their car for another day’s commute. Then…here comes the zombies!!! And one adventure after another. You could hear a pin drop in the theater as everyone around me literally held their breaths to see what would happen next. “What does Gerry do exactly?” All you ever find out is that Gerry Lane works for the UN, and therefore has a certain amount of government immunity to the bedlam happening around him. As the film goes on, the notion of both government and bodily immunity will present itself as a theme throughout. Everyone is outstanding in their roles, especially Ms. Enos who fans of The Killing will recognize, and many of the supporting actors and actresses, such as Danielle Kertesz (as Segen), Fana Mokoena (as Thierry Umutoni), Ruth Negga (W.H.O. doctor), Pierfrancesco Favino (W.H.O. Doctor). There’s even a blink-or-you’ll-miss-him cameo by Matthew Fox, who enters within the frame in a subtle, matter-of-fact appearance. 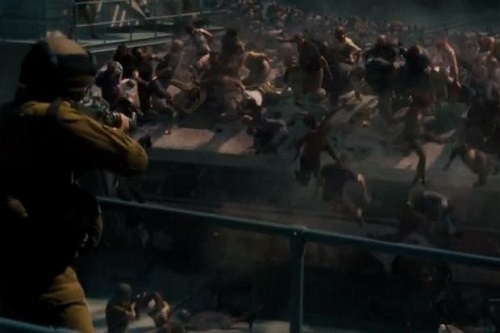 I appreciate World War Z, because everything just…. happens, and it happens in a very realistic manner. It’s enough to make you wonder if it's time to start stockpiling cases of water and canned food in your basement. Who can really predict when the world will end and by what means. Unlike Contagion, another well-executed and frightening portrayal about the end of civilization, the origins of this zombie apocalypse are unknown, and that ladies and gentlemen, is the scariest thing about this film. 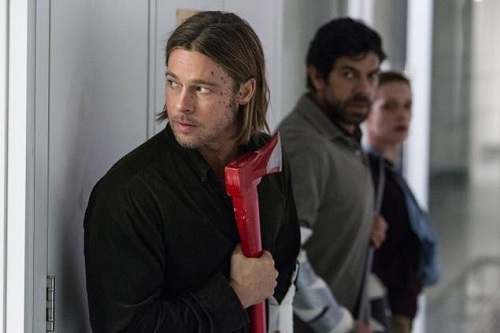 While The Walking Dead continues to be the only zombie-centered show to dominate television, World War Z is a worthy zombie movie to compete with all zombie movies for its fearlessness and How to Survive the Zombie Apocalypse 101 Survival Tips guidance. So was it worth the wait? I say yes. Whether you have read "World War Z" by Max Brooks or just want to see Brad Pitt fight until his heart gives out (which does not happen to Pitt’s character …the heart giving out part that is), go see this movie and prepare yourself for the expected sequel. Candace Smith is a native Philadelphian and graduate of Syracuse University (BA) and City University of London (MA). After spending a few years living in London, Candace returned to Philadelphia and continues to forge a career as a freelance journalist, writer, blogger, actress, and host.